are u filling your ITR return? Yes/No. There are 8 benefits if you file the I.T returns even your income is below taxable limit. Many people will not I.T return at all for years. As their income is below taxable limit. In addition, I have seen people tend to run to the C.A for filling return when there is an urgency. But there are 8 benefits of filling I.T return even your income is below taxable limit. ITR filing has 8 benefits even your income is below taxable limit. 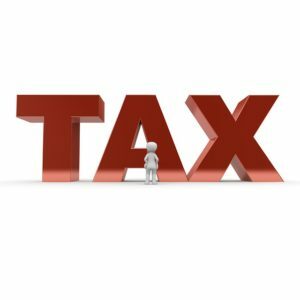 What is Income Tax Return(ITR)? Is it necessary to file it? An Income Tax Return is a form, where the taxpayer discloses details of his/her income, claims applicable deductions and exemptions and taxes that are payable on the taxable income. As a responsible citizen of India, every person who has an income should file an Income Tax Return, because in this way we are actually declaring all source of income whether non-taxable or taxable. According to The Income Tax Department rules, everyone has to file an income tax return if one’s gross total income (before allowing deductions under section 80C to 80U) exceeds Rs. 250,000 in a financial year. One can also file it even their income is below the taxable limit or its zero (in which case it’s called NIL or Zero return). Filing Nil return will act as proof of accumulated funds in your bank accounts or other investments of you. You are having low income, and you are not filling as your income is below taxable limit. But with that low income also, you can accumulate some good corpus over a few years with your investments in various asset classes like real estate, stocks, Mutual fund, gold etc. In the future, a situation may arise that the Income Tax Department may ask you the source of income for the wealth accumulated. It will be a lengthy and difficult process for you to provide all the income details for all those earlier years. I.T.R filling will help you as income proof in such situations. If you are planning to go abroad immediately or in the future, then for Visa Processing immigration department may ask your I.T Return Documents. If you are salaried, then Employer Certificate will work as income proof, But for self-employed and Businessperson, filling I.T return is a good thing to do. For Salaried Employees Salary certificate will be used as income proof. When it comes self-employed I.T return will be useful as Income Proof. If you got any losses in your investments like real estate, stocks or mutual funds etc, then those losses can be carried forward for 8 consecutive years, and your profit or income will be set off against these earlier years capital losses. To keep a record those losses ITR filling will help you. You can set off capital losses of the earlier financial year in the present year only when you file your ITR filling done before the due date. Family Pension received by legal heirs. Tax-free income like tax-free bonds, agricultural income.. These people may think that they do not need to file any I.T return as their income is below taxable limit. But in above-casesTds will be deducted. By filling I.T return they can show it as a proof of their income. If you have paid an excess tax that can be claimed back with Tax refund provision by filling I.T return. Sometimes, Your Employer may deduct high tax from your salary without analyzing your tax saving under 80 C and H.R.A etc. Then by filling I.T return, you can claim the tax refund. If you planning to go buy or construct a house then you may need a housing loan. In such cases, banks will ask you for Income proof. As I.T return is useful as income proof. Banks will give loans based on your I.T returns. These banks may ask last 2 or 3 years I.T return for giving your any kind of loan. We all life insurance is required for income earners in the family to protect dependants from the financial loss when income earner dies suddenly. But forgiving higher insurance coverage, Life Insurance Companies will ask for I.T returns. As, there a law that according to income only they have to give life insurance. In such case, I.T return will help you. I hope you understood I.T return filling benefits, and you will start filling them from this year and gain the above benefits. Read an article about Apgli/Tsgli- Why it should be modified by Governments?. Click here to read. Also, read the article about agents, banks, Sebi Ria-Who is best for you?. Click here to read. Also, read the article about new NPS taxation rules- 2019. Click here to read.